We’re dedicated to helping farmers identify their best ROI opportunities. Today were going to look at the costs associated with drying grain. Long story short, dry grain yourself! While it’s not a secret that on-farm storage has a good ROI, I like to be able to try and quantify the benefit of on-farm drying. Lets first analyze on-farm vs commercial shrink. Most elevators use a shrink factor of 1.5% per point of moisture removed. In my assumptions above I’m using total on-farm shrink of 1.25%. In the calculations below, I’m calculating the value of the cumulative shrink difference when drying 20% moisture corn down to 15%. Now we need to calculate the value of that shrink difference at different corn prices. I’ve also included the total benefit per 150,000 bushels. Now the fun begins, especially considering where today’s LP prices are! We need to compare the actual cost of on-farm drying vs commercial drying. Note that I’m not including the $.01-.02/bushel of maintenance electricity charges to run fans. As you can see, if a commercial drying facility is using a drying rate of $.04/point of moisture the breakeven price of LP for your on-farm drying is $2.00 gallon. Most LP prices across the country are under $1.00 and I know of a material amount of LP bought at $.50 or less. As an aside, when prices are at extremes throw seasonality out the window! Someone called me recently and said that their local price for a tanker load of LP was $.55. They didn’t think they were going to buy it because it was $.10 higher than their last load and that July/August is typically the best time to buy it. My answer: BUY BUY BUY. It’s 1/3 the price of where it was two years ago and eventually low prices cure low prices so who cares about the seasonality (this time). The lesson that I’m trying to convey in this blog post is that as a great farm business manager, you need to constantly be evaluating the ROI of various activities on your farm. Assuming $1.00 LP and $3.50 corn, your annual on farm drying/shrink savings would be over $20,000 (on a farm that produces 150k bushels of corn). Storage and on-farm drying are great farm investments. While we are definitely in trying economic times on the farm it never hurts to maintain and prioritize your capital expenditure “to-do list” if you haven’t already. 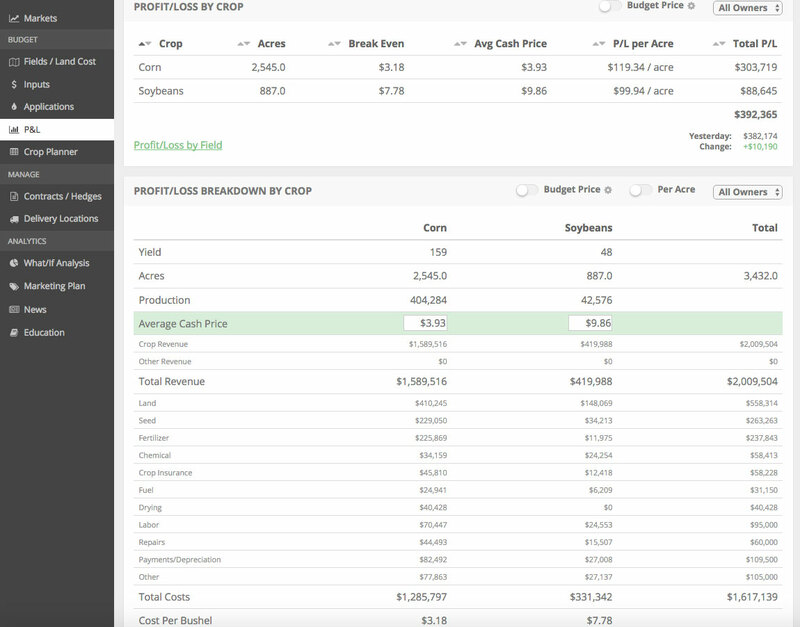 If you like this numbers-based, ROI-focused approach to farming, you should check out our farm management software. Click the button below for access to a live (and free) demo account.